Two women have been accused of stealing from a Target store in Bloomfield Township during a police charity event. On Dec. 19, the Bloomfield Township Police Department was participating in “Shop with a Cop” along with officers from the Sylvan Lake, Keego Harbor and Orchard Lake Police Departments. The charity event is held to aid underprivileged kids during the Christmas season. The event was held at Target, located at Telegraph Road. During the event, officers were notified that two women were being questioned on suspicion of Retail Fraud in the loss prevention office. 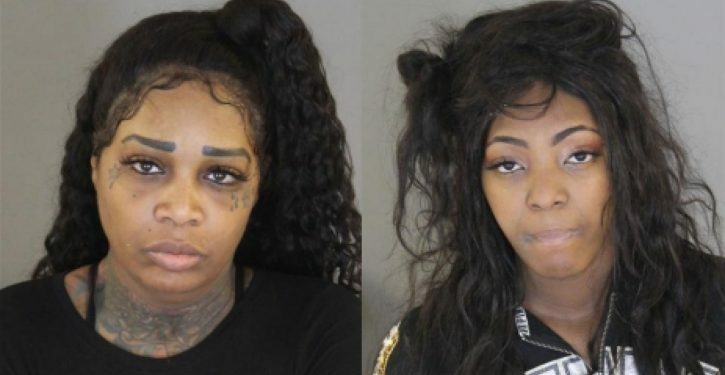 Keiana Wilson, 40, of Burton and 18-year-old Dana Johnson of Flint were arrested on felony Retail Fraud charges. The two women are accused of trying to leave the store with $1,900 worth of electronics before being stopped.